The granddaughter of Pablo Picasso, famous master of Cubism, has announced that she plans to sell some of the massive collection she inherited “one by one, based on need”, in order to finance her charitable work. Her collection of works by Picasso is estimated at over 10,000 individual pieces, ensuring that she probably has enough material to keep any sort of charity work going that she cares to undertake, with ease. 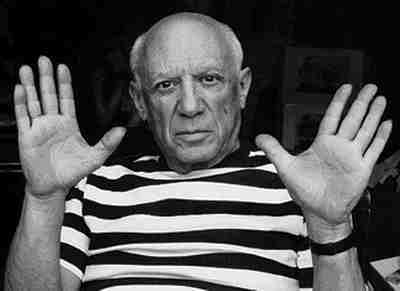 Media reports are rife with speculation only, however, as Marina Picasso has announced that she plans to sell the work privately, and hasn't said much more than that. This, naturally, sent the world of the art auctioneer into a tizzy, amid fears that a large sell off of Picasso's work could depress the value of every other Picasso on the market. This was further compounded by the fact that nobody knows exactly how many pieces she plans to sell from her collection, which has approximately 300 paintings in addition to a much larger number of etchings, sketches, and ceramic pieces. Rumours are that she plans to sell seven major paintings, which could fetch up to £200 million, although this is not confirmed. All she has said done is confirm that she plans to sell some, and to dispel rumours tht she was also planning to sell Pablo Picasso's villa, La Californie, in the south of France where she currently lives. Hopefully, once everyone has gotten over the shock of the idea that she's selling things privately instead of using a "respectable" auction house (although it seems like the media are almost creating that frenzy themselves), we can relax in knowing that she's putting the money from the sales to a good cause.